DAMASCUS (Sputnik) – Syria's flagship airline has resumed flights between the Syrian city of Latakia and the UAE city of Sharjah, Syrian Transport Minister Ali Hammoud told Sputnik on Thursday. 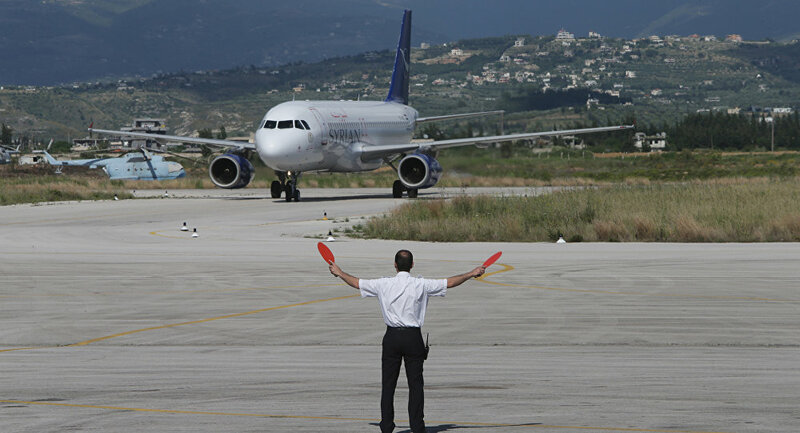 "The flights between Latakia and Sharjah have resumed. There will be one flight per week," the minister said. The first aircraft from Sharjah arrived in Latakia at about 4:00 p.m. (13:00 GMT), according to Hammoud. The minister pointed out that the resumption of flights between Latakia and Sharjah would make the air traffic in the airports of Damascus and Beirut less busy. Earlier this year, Hammoud said that only three out of five Syrian airports operated in the country: in the cities of Damascus, Latakia and Qamishli. The airports of Deir ez-Zor and Aleppo remain closed because of the militants’ presence. The airport in Latakia has been operating since December 17, 2016, when the reconstruction works were finished. The flights are organized by the Syria Air airline.